With the prospect of workers facing longer commutes and travel disruption during the Olympic Games in London this summer, businesses are coming up with strategies to avoid disruption to their operations. 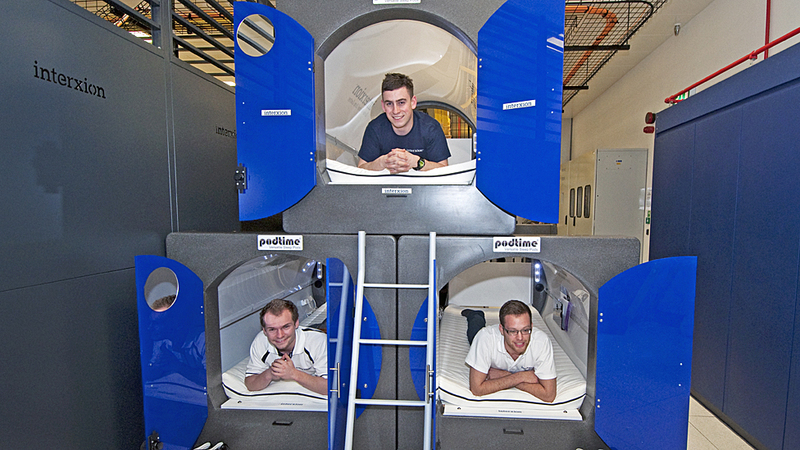 Heeding warnings for companies to make contingencies, Interxion, a data centre firm in London's Brick Lane has installed 10 pods for workers to sleep in. The pods are kitted out with laptop holders, earphones and memory foam mattresses.